Press Release | Is your child safe from inheriting your family’s diseases? Reshape your child’s future today with the power of optimized protein. Are you worried that your child may inherit illnesses that afflict your family? Now you have the chance to prevent it from happening. Thanks to the constant dedication of health experts, mothers can now reshape their child’s future by acting early to lessen the risk of having childhood obesity, which can lead to onset of inheritable diseases such as diabetes, heart disease and allergies. Fortunately, the risk of developing these diseases may be significantly lowered by paying attention to the milk that your child consumes. Milk is vital to the growth and development of a child as it contains protein and nutrients which are crucial to a child’s growth and development. When choosing the right milk, it is important to provide the one with optimized protein. Optimized protein is high quality protein at lower quantity that offers the right kind and amount of amino acids that promotes appropriate weight gain and helps reduce the risk of obesity and other non-communicable lifestyle diseases. Moreover, optimized protein with hydrolyzed whey has been proven to help reduce the risk of allergies by 50%. This most advanced protein can be found in NANKID OPTIPRO FOUR and NANKID OPTIPRO HW FOUR. And now, NANKID gives children a better chance for a healthier future through the NANKID Family Health Screener. The Family Health Screener is a user-friendly interface that can be accessed through the NANKID website. Parents can simply input information about their health history (blood type, allergies, weight, height, diabetes history, etc.) to learn the possibility that their child may be at risk for food allergies, asthma, diabetes, and obesity, among others. These results can be shared with their doctors to know how to best address their child’s health needs by leveraging on the power of optimized protein. Help reshape your child’s future health today. Take the Family Health Screener test today to learn more about your child’s possible health risks and discuss with your pediatrician. The sooner you know, the more options you can choose to help build a strong nutritional foundation for life. 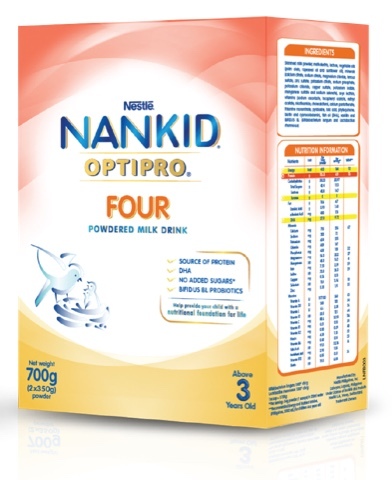 To learn more about optimized protein and the NANKID Family Health Screener, visit our website at www.nankidoptipro.com.ph. 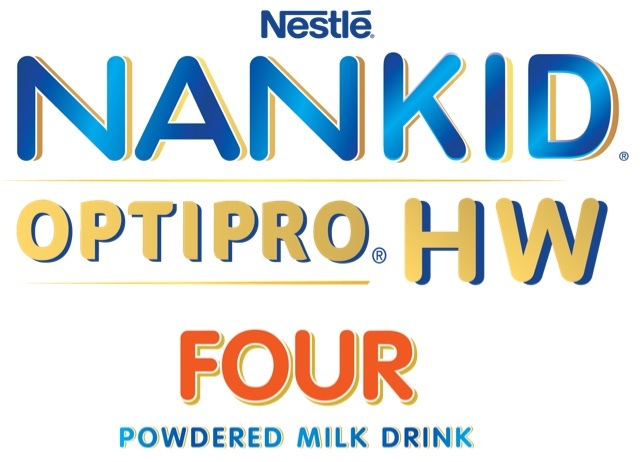 Powdered milk drinks suited for healthy children above 3 years of age, Nestle's NANKID OPTIPRO FOUR and NANKID OPTIPRO HW FOUR are formulated with optimized protein to ensure age-appropriate weight gain. It also has partially hydrolyzed whey for protection against allergies.